Size 63mm Diameter shrinking down to 24mm Diameter. Adhesive lined heatshrink end caps. Used to seal the ends of plastic, rubber and paper insulated cables from moisture, dirt and corrosion. End caps are used for protecting the unused cable from environmental effects. They also offer insulation on the unused end of electrical cable connected to supply. 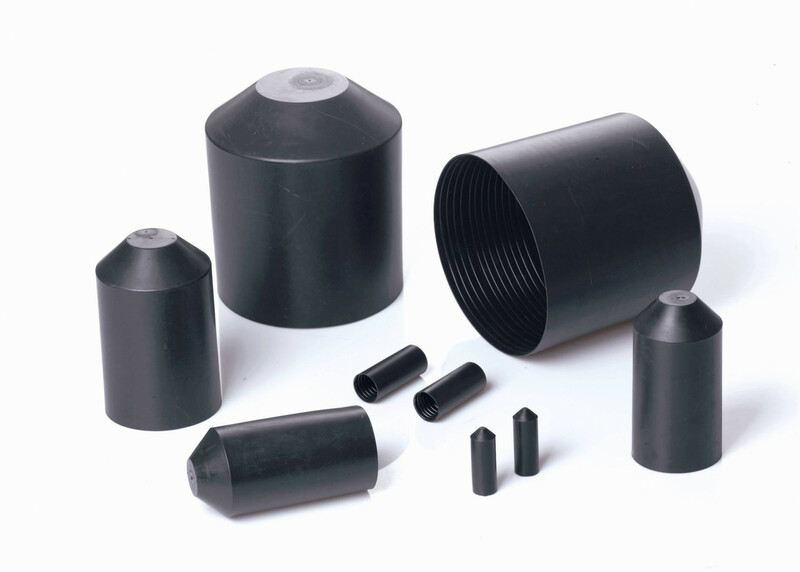 Adhesive lined heat shrinkable polyolefin cable caps used to seal the ends of plastic, rubber and paper insulated cables from moisture, dirt and corrosion. Cable caps are internally coated with a hot-melt adhesive making them water resistant. End caps are used for protecting the unused cable from environmental effects. They also offer insulation on the unused end of electrical cable connected to supply. Whilst we can provide various gas torches, these Heat Shrink End Caps can also be applied with our wider range of safer, more easily controlled and compact modern electronic heat guns. They can be used on cables at up to 0.05 MPa internal pressure between -30°C and 70°C. Each cable cap covers a wide range of cable sizes as shown in our data sheet.